Unfortunately it happens every year, in RV parks across America, even to the most conscientious people. Whether someone drove their RV while burning their stove burners, causing a fiery mishap; or if another RV driver didn’t compensate the extra room needed and took out that corner light post; inexperienced vacationers either ignore the warnings regarding RV safety, or they simply aren’t aware of them. With so many Americans choosing to RV, it has become increasingly important for these drivers to understand the extra responsibility of operating an RV safely. 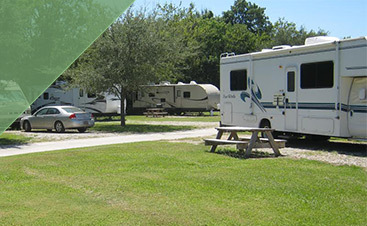 As Louisiana’s favorite RV park, we’ve seen more than our fair share of mishaps and accidents and would like to share our list of safety tips and reminders with you. Understand and follow propane tank guidelines for use and storage. Traveling with propane can present a number of safety issues. Make sure that you and your entire group understands the proper usage of propane to ensure your safety during your travels and while at the campground. Double and triple-check the entire vehicle before embarking. Leave no stone unturned when it comes to the security and safety of every aspect of your RV. Practice driving your RV. It is highly important for drivers to understand that RVs present driving challenges that you simply don’t experience in a standard vehicle. Make sure that you practice turning corners with a wider arc, braking safely and increasing the distance between you and other vehicles. Watch your height. You know those height markers on bridges and in fast food drive-thru’s? Those are for you. Know the height of your vehicle before attempting to drive under any overhang as this is one of the most common accidents that RV drivers experience. 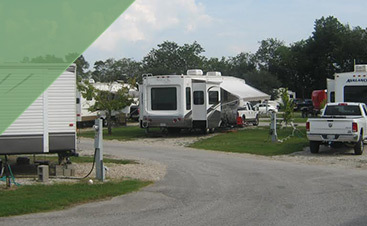 Being the premier RV park serving travelers in Louisiana, we always have your safety and comfort in mind. 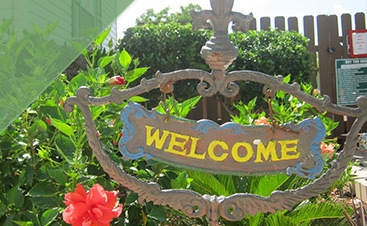 When traveling this season, remember that you are always invited to experience the Cajun hospitality that we pride ourselves on here at Frog City RV Park.